The biggest threat to your dental health is tooth decay, and by working to prevent it and treat it as early as possible during your visits here at Island City Dental, we can give you a beautiful, healthy smile that barely needs a second thought. Each of the treatments listed below is designed to stop a problem before it even starts, ensuring you’ll spend less time in our office and more simply enjoying your life. Why choose Island City Dental for Preventive Dentistry? We recommend that every patient should attend a checkup and cleaning at least once every six months. This will enable our team to catch any decay or infection in your mouth as soon as possible so we can take care of it right away. 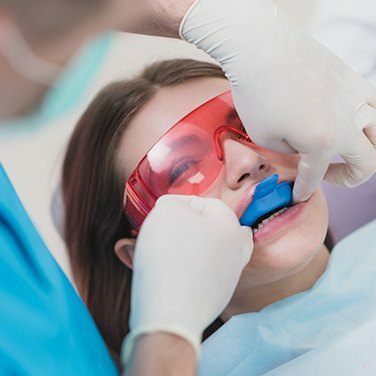 Plus, our expert hygienist, Lucy, can remove any harmful plaque and bacteria from those hard to reach areas of your mouth to keep you protected from cavities. Everyone deals with stress differently, and for some, it causes them to unconsciously grind their teeth while they sleep. This can damage the enamel over time to the point that the teeth actually crack and break, and the same is true for any dental restorations as well. If you suspect that you might be grinding your teeth, let our team know, and we can provide you with a nightguard. This oral appliance fits comfortably into the mouth and prevents the teeth from touching while someone sleeps, keeping them safe. 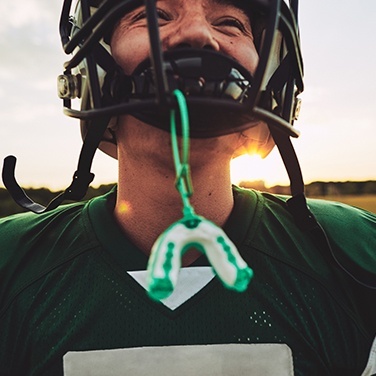 Wearing the right safety equipment is important for any athlete no matter what their chosen sport is, but many forget to protect one of the most important parts of their body: their teeth! Instead of forcing yourself to wear an uncomfortable, generic mouthguard from the store, our team can provide you with one made just for you. 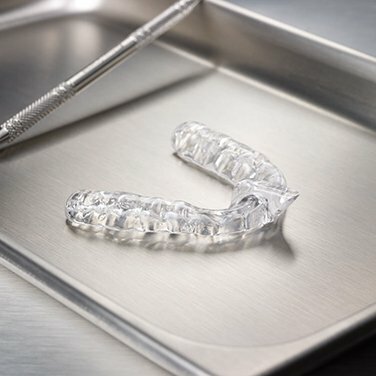 It will be shaped to fit securely over your unique teeth, allowing for easy breathing and speaking, and it will also provide much better protection from any unexpected impacts. Oral cancer is a very serious and potentially deadly disease, and it can actually be easy to miss during its early stages. As a result, many patients don’t notice symptoms until the cancer is already advanced and difficult to treat. To make sure this never happens to you, whenever you come to see us, our dentists will use their trained eyes to spot any potentially cancerous cells in your mouth. If they find something, they’ll help you get the follow-up care you need right away, ensuring you have the best possible chance of beating the disease. Fluoride is a mineral that provides a natural-remedy to tooth decay, which is why it’s often added to toothpaste, mouthwash, and even public water sources. To give you some extra protection against cavities, we can coat your teeth with a highly-concentrated fluoride varnish as part of your regular checkups. It only takes a minute, but it can literally help repair any minor areas of damage to stop cavities dead in their tracks!